The Phil Murphy Weekend takes place July 21-24 in Carrig on Bannow, Co Wexford. This year's festival is jam-packed full of great music including Aussie guitar maestro Tommy Emmanuel, national icon and Queen of the Bosca Ceoil Sharon Shannon, legends of traditional music Noel Hill, Frankie Gavin and Brian McGrath, "Celtic super-group" Lúnasa, sweet-voiced troubadour Dónal Clancy and, from Tennessee, The Hamilton County Ramblers. 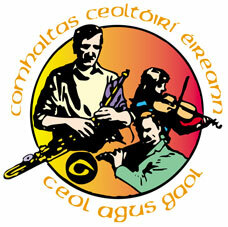 Then there are the sessions, the workshops (ideal for young musicians), the céilí, free open-air gigs, the Ó Riada Mass. There's a purgatorial 6k run on the Sunday morning to sweat out the porter of the night before! This is Wexford's top festival of traditional/folk music and song. Be sure to support it! Box Office: Tel 085 7740751.